Economic Transport Organisation Ltd. was established in the year 1962. We are service provider of Bulk Movement Services, Door To Door Delivery Services, Household Moving Services, Logistics Services, Material Handling Services, Moving Services, ODC Consignments Services, Packing Services, Parcel Services, Transportation Services and Warehousing Services. These services are highly scalable & reliable and accomplished by our experienced professionals with perfection & on time. The major factor which has compelled the clients to choose us over our counterparts is that our organization considers their belonging as its own and take utmost care of the entire consignment till the time of delivery to clients destination. Owing to our vast networking services, proficient workforce and customer centric approach, we have garnered an escalating clientele and carved a niche in our domain. We offer completely reliable services as we are the only one to be trusted for your valuables. We comprehend the importance of your valuable assets and belongings and hence bring an assortment of prompt services for our valued customers. We render safe and secure packing, moving and shifting services at any point of time. The goods are packed and shifted under the extreme supervision of our expert team depending upon the nature of goods. Our professionals keep a close eye on safe packaging and transportation of consignments, which are shifted by us from one place to another. They work in a proper coordination with each other for ensuring safety, timely and hassle free delivery to the clients. The foundation of ETO was laid by the arya family on 22nd November 1962. The only asset they had with them at that time was a 1954 Model Dodge Truck Bearing Regn. No. BRF 1706, and ofcourse the vision for providing services for the country. The service arena selected by ETO at that time was almost virgin territory in which very few would have dared to venture out then, but then ETO took upon itself the most difficult task that the nation needed the most for, in the form of interstate and inter city transportation of goods and merchandise. There was no direct road in those days as mahanadi river near Cuttack and godavari river near Rajamundry could not be crossed, as there were no bridges. It was a challenge for anyone to deliver goods from Calcutta to South India in a span of 5 days. But our company did it. Our trucks were directly driven on the barges to cross the river to reach the other side. Our company got the fame for making such deliveries in 5 days without any complaint or claim. The quality of services provided at that most difficult period in the year 1965 prompted a well known Canadian company who were given the task of erecting and commissioning the plant in Vishakapatnam to assign the job of transportation of their material to ETO at a freight value of Rs.50 lakhs. We completed this job before schedule and we got all the compliments for it. We are proud to say, we have been associated with several large organization since last four decades, for whom we have provided with exemplary services of in time delivery. In the year 1967, Indian railway board requested us to find out if we could suggest a scheme to co-ordinate rail road transportation for the betterment of economy and the national interest. Our Shri S.P. 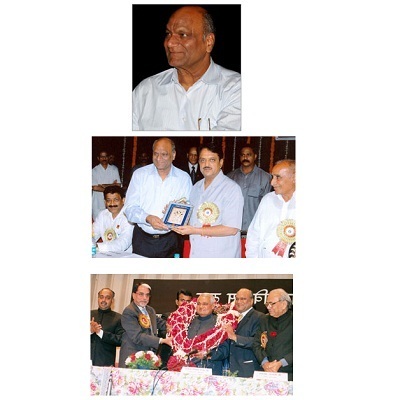 Arya, suggested the freight forwarding scheme to the then board member Mr. Shukla. It was a trial first on experimental basis between Mumbai and Calcutta and then on other parts of the country. In effect, we were the pioneers of freight forwarding scheme in the country, and hold the privilege to be the first to load the first wagon under this scheme. Looking back in the history, we can be proud to note that our founder Late Shri D. P.Arya, is the man behind the evolvement of the modern day transport industry. It was his mission and vision to see movement of goods and merchandise by road in this country. Way back in the year 1954, there was no transportation by road to join one city with the other and the only way of transportation in those days was either by rail, river or air. In the transport map of our country, ETO is the prime carrier for 72 of the biggest industrial houses out of the top 100. We are the one to have handled 92 long crane girders between Mumbai and Kudremukh and carried a single piece of 140 Ton transformer from Korba to Bilaspur. Our service is the key word around which all activities are centered. The mission of ETO is to provide a range of logistics solutions to its clients and assist the clients in choosing the service, which is most suitable to their requirement. The endeavour at ETO is always to exceed the expectation of the clients so as to keep resetting our service goals higher and higher. To ensure that the vision of the promoters and the mission of the company are met, we realize that one of the most critical inputs is our people. Right from the delivery staff to the CEO, the employees are highly motivated and dedicated to customer service. The employees are constantly trained and their skills upgraded to ensure that they are friendly and approachable. They are trained to stay close to customers, listen to them and adapt to their needs. The organization is structured in a fashion that each employee is accountable for his or her activity and to their clients. We consider our people a most valuable asset. To us, our people and their families are as important to us as our customers and it is a constant endeavour to ensure that our people are fully prepared to meet the high levels of service that we have set. To achieve this, there is a continuous evaluation and process and employees are involved in training programs both in house and external. We have a dedicated team called innovators in our organization whose members are drawn from our various branches whose objective is to innovate and create new services to meet the needs of our customers. We believe in providing our customers convenient, flexible and technology based services. We realize that customers have different logistics needs and therefore we endeavor to customize our services. Our customer service cell spends time with our customers at their location of work and after studying their requirements both in the areas of materials sourcing and distribution, come out with tailor made solutions taking into account the factors of time and distance. This kind of customer interface and flexibility has helped us to come out with unique service packages for different industries. We endeavour to add value to our services thereby giving a customer multiple choices and a competitive edge in his business. All offices of ETO are interconnected through modern communication systems. A combination of telephones, fax and email have been integrated into a two tier system to ensure that operational information is available with minimum delay. We have also computerized all over accounting system as well as goods tracking systems. Our service is the key word around which all activities are centered. The mission of ETO is to provide a range of logistics solutions to its clients and assist the clients in choosing the service, which is most suitable to their requirement. The endeavour at ETO is always to exceed the expectation of the client so as to keep resetting our service goals higher and higher. ABB Ltd Industrial Tubes Mfg. Pvt.Ltd. Bharat Pumps & Compressors Ltd Leonardo Engg Pvt.Ltd. Century Pulp & Paper Makestar Valves & Engg.Ltd. Century Rayon Modern Packaging Pvt.Ltd. Delton Cables Ltd National Aluminium Co.Ltd. 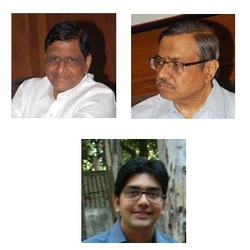 Tokhram Ramanand Charitable Trust : Who has developed a college by the name Ramanand Arya D.A.V. 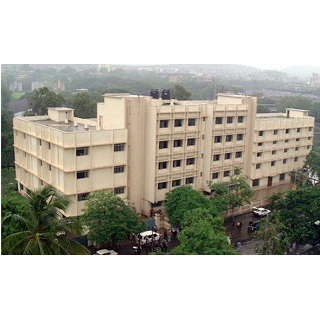 College, Bhandup, in which 6000 students are studying.